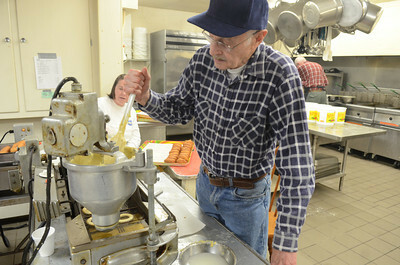 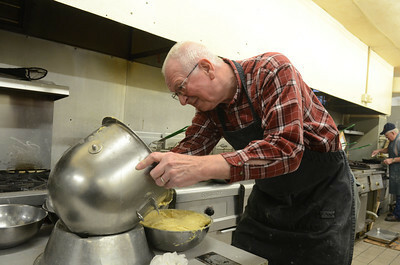 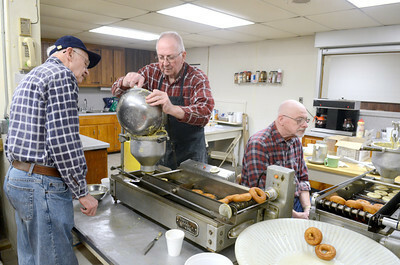 Volunteers LaRue Thoman, left, Beavertown, Melvin Will, Beavertown, and Dale Hackenberg, Beavertown, help mix up around 900 dozen donuts on Monday at the Beavertown Rescue Hose Company for donut day today. 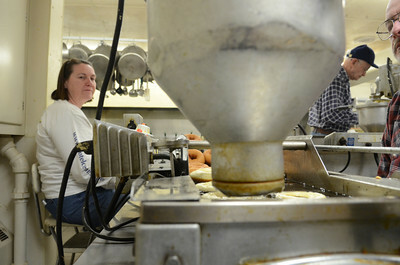 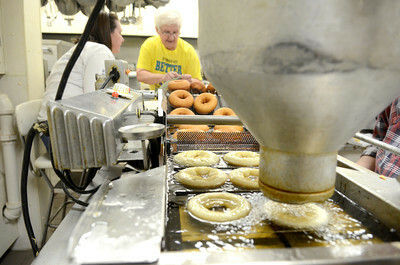 Bernie Schwalm, left, Middleburg, and Kate Saylor, Beavertown, collect donuts at the end of the conveyor on Monday at the Beavertown Rescue Hose Company as they prepare for donut day, today. 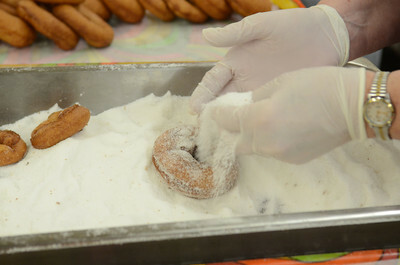 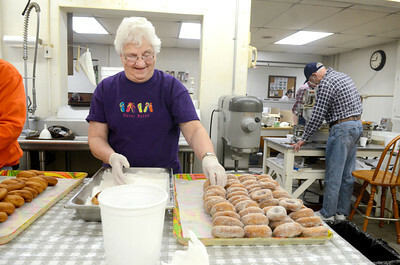 Martha Aumiller of Beavertown coats donuts in sugar as she helps out at the Beavertown Rescue Hose Company on Monday as they prepared for donut day today. 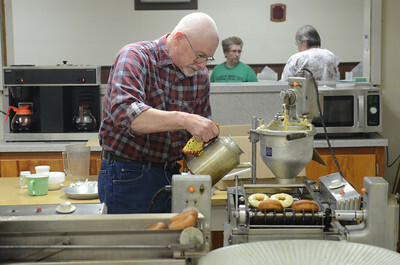 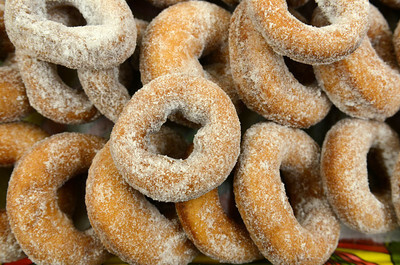 Piles of homemade donuts cooked up on Monday at the Beavertown Rescue Hose Company for donut day today.